Is A Resume Good Enough To Show An Employer How Your Knowledge Of Alpha Keepers Translates To Inventory Control When Trying To Change Careers? I was conversing with a co-worker the other day about resumes versus C.V.’s (curriculum vitae). The discussion was in reference to providing information on ourselves for a new boss in our academic library. I was suggesting I would update my resume, my co-worker was saying he was going to update his C.V. I was only familiar with a C.V. for academic positions and did not think it was applicable to our positions as staff members. My friend then made a strong point. To someone with no knowledge of retail or Loss Prevention, would my former position as a Retail Loss Prevention Manager mean anything to an academic Dean? A C.V. would offer more of a description of what my work entailed than identifying me as someone who investigated employee theft or worked to prevent shoplifting. A resume is a brief history of work experience, education and background. A C.V. has more detail in it. For the purpose of informing my new Dean of what my skill sets really are does he/she need to know about my knowledge of Alpha Keepers or does he/she need to know about my knowledge of inventory control and the impact it has on library resources such as books, music, videos, etc.? It is appropriate at this point to discuss Alpha Keepers and inventory control for those who may not be familiar with them and how they work together. Alpha Keepers are clear, solid boxes with a hinged, locking lid. The Keepers come in a variety of sizes to accommodate a wide selection of items, from batteries to baby formula cans. There are sizes that are sure to please almost every retailer. From an inventory control perspective Keepers provide flexibility in terms of how much “lock-up” merchandise a store manager has to keep in a locking display case. The reason for this is that Keepers are basically portable lock-up display cases. They can’t be opened without a special detachment key usually secured at the point of sale. Tampering with the lid activates a tamper alarm allowing employees to prevent shoplifting of the contents. The boxes also have electronic article surveillance (EAS) technology built in that allows the box itself to be detected by EAS towers. Thieves trying to smuggle merchandise in Alpha Keepers out of a store are in for a surprise when the tower sounds a screeching alarm that alerts employees to the attempted shoplifting. When Keepers are used there is less need for display cases and manpower to supervise and unlock them. Inventory control is less burdensome on the store owner. Getting back to the resume vs. C.V. comparison, is there a significant difference when I am attempting to highlight my experience or translate how my experience works from one job to the other? Is it important for someone to be able to make such clarifications? For example, when I interviewed for my position to work in a library, I was able to explain how my retail customer service experience would be useful in assisting library patrons. I was also able to translate my experience as a Loss Prevention Manager responsible for emergency preparedness and planning would be beneficial to crisis response in an academic library. My role as Loss Prevention Manager required me to be responsible for the security of merchandise, prevent shoplifting and look out for the safety of patrons and the shoplifter when conducting apprehensions. One of the library job requirements when I first applied was being able to keep patrons safe during late night hours. I was already prepared before my interview to explain how my experience was similar to what the job ad was seeking. Had I gone into the interview with only my resume I would probably not be working where I am. A C.V. can do sort of the same thing, show someone who may not have the experience how much you can contribute. I tell you this because many of you store managers and owners may interview people who only present you with a resume. It might be beneficial if you are able to translate skills listed in one occupation to the job you are trying to fill. As you prepare to interview candidates ask questions so they can tell you how they are prepared to do the job you need done. Can that library staffer really be useful to your store? They can, as much as that Loss Prevention Manager can exchange knowledge of how to prevent shoplifting to preventing the theft of library materials. Managers do yourself a favor and review those resumes carefully, you might be missing a gem of a hire if you are too focused on key words and not skill sets. 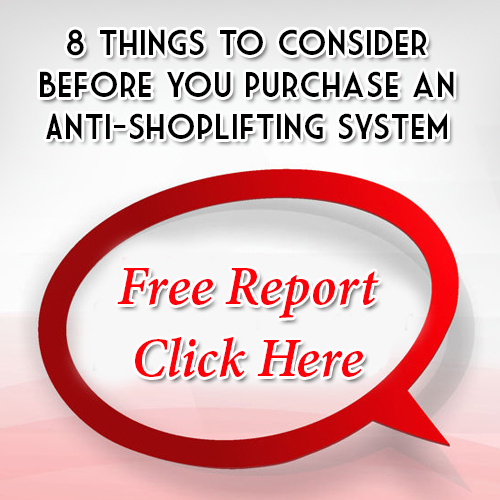 For more information about how to prevent shoplifting contact us or call 1.866.914.2567.